Interested in freelancing or want to start your own business one day? 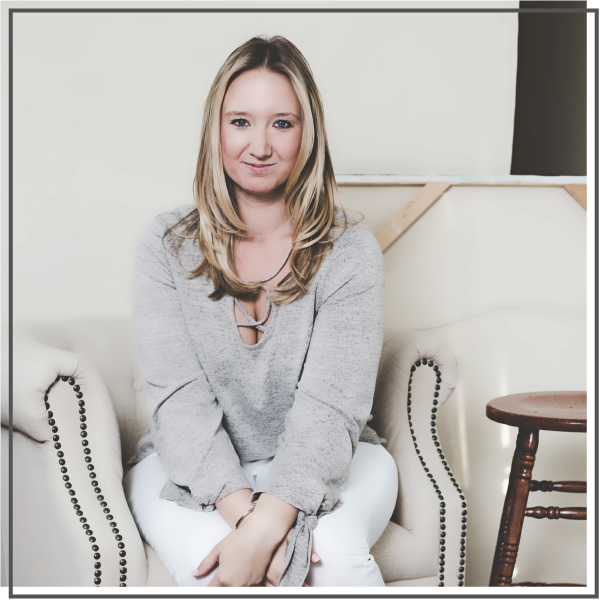 Figuring out how to land clients and find paying work is often a huge barrier and source of stress for those who dream of striking out on their own. That’s why, as a small business owner, one of the biggest parts of my job is new business development. 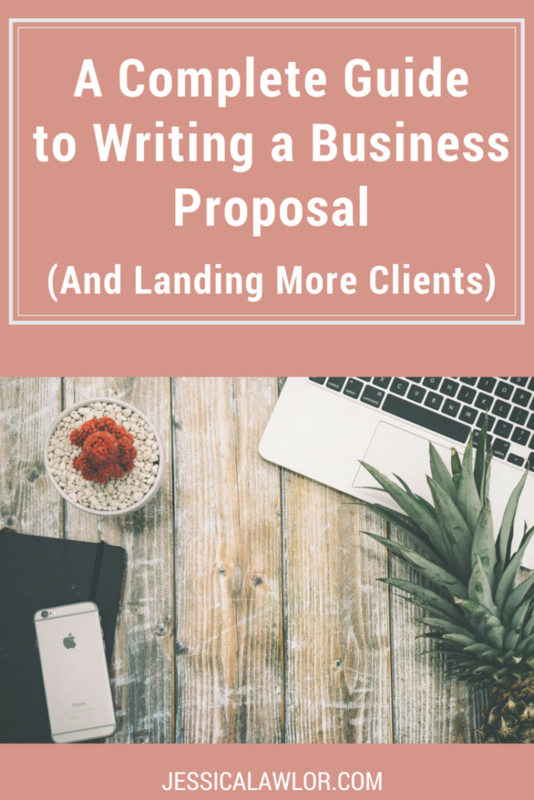 And while I’ve always taken a bit of a different approach to landing clients, there’s one key part of new business development that every freelancer or business owner needs to master: Writing a strong proposal that turns a prospect into a paying clients. If you want to start a business or pick up freelance work, you’ll need to know how to write a proposal too. Let’s dive into the nitty-gritty of proposal writing, including all the sections you need to include to craft a strong and powerful proposal. To keep things simple, a business proposal is a written document that outlines who you are, your expertise and how you can help a prospective client reach their goals. A proposal often includes a scope of work, pricing and timelines to help set expectations for what a consultant or agency can do for a client. It’s a crucial document to land new business. I had NO idea what a proposal was supposed to look like or what to include. But now that I’ve been freelancing for five years and running JL&Co for two, I’ve written dozens of proposals and I’ve picked up a trick or two along the way. Time to slow your roll. You can’t just go around sending out proposals willy-nilly. A proposal should never be a first point of contact. The key to actually winning new business is creating a connection via an in-person or phone chat before ever sending a proposal. After all, not every project is going to be a good fit. I’ve jumped on prospective client calls where two minutes into the conversation I know a business relationship is simply never going to work. At that point, I can respectfully bow out, without wasting time on either end. Plus, a phone call or in-person meeting allows a prospective client to get a feel for personality and what a company can offer. At that point, most times, a prospective client is already sold on wanting to work with you, making the written proposal much easier. Initial phone call to discuss the project and determine fit. Write and send proposal to prospective client. Phone call to review the proposal together. Tweaking and negotiation, if necessary. Sign a contract and start creating beautiful work together! There are so many ways to format a proposal! Some people prefer Powerpoint decks, but I like to use a simple document, broken into different sections and delivered as a PDF for easy viewing. I keep my proposals short and to the point. A proposal is meant to serve as a conversation starter, not an end-all, be-all document. My proposals are typically no more than four pages long. Keep in mine, the skeleton of your proposal can stay the same each time — you’ll just need to change the content of a few sections to tailor the proposal to the prospective client you’re hoping to win. The summary includes a brief description of my business, Jessica Lawlor & Company. In this section, I’ll also often outline what the prospective client has told me they want for a particular project or campaign. The “who we are” section dives deeper into Team JL&Co. I include my photo and bio, along with my team member’s photo and bio for a prospective client to get to know us better. This section outlines my company’s qualifications and why we’re a good fit for that particular client or project. For example, if I’m pitching a new business for PR, I tailor my proposal to focus heavily on my PR expertise, whereas if I’m hoping to win a content management client, I spend more time focused on my work with other content management clients. This section changes every single time I write a new proposal. Ding, ding, ding. Here’s the most important part of the proposal! This section highlights the ways my company can assist the prospective client. I typically lay out some high-level campaign goals, followed by specific package options, including pricing to give the client a variety of options for working together to reach their objectives. I like to propose a specific timeframe for the project, though this sometimes changes after the proposal is sent and before a contract is signed. The notes section includes a brief conclusion, a proposal expiration date and of course, a thank you for their interest in potentially working with JL&Co. Always, always include a proposal expiration date. Just because a proposal doesn’t work out right this minute doesn’t mean the prospective client might not come back to you a year from now ready to go. At that time, you’ll probably want to increase your rate, and with an expiration date, you can do that. Similarly, putting an expiration date on a proposal puts a bit of added pressure on a prospect to make a decision sooner, as the proposal process can tend to drag out. Show what you’ve got, but don’t give away all of your ideas. This can definitely be tricky because your proposal has to be impressive enough that a prospective client will want to work with you, but you can’t “give away the farm” for free. I like to showcase my work with similar clients and their results to give them an idea of what I could do for them, without sharing specifics of my process that they might be able to take and implement on their own. Don’t be afraid to showcase your successes, even if it feels a little braggy! This is your time to shine and to show a prospective client all that you’ve done and all that you can do accomplish on their behalf. Now is not the time to hold back or be humble. After sending a proposal off, be sure to schedule a follow up call. It’s helpful if you can schedule a call for the day you send the proposal. This way, you can walk through the sections of the proposal and explain items in further detail before a prospective client digs in on their own. I find this is especially useful in cases where a client may look at your emailed proposal, see pricing and immediately dismiss your proposal based on that alone. A phone conversation is super useful for being able to explain why things are priced the way they are and to share more detail where needed. This whole entrepreneurship thing is a constant learning experience, and I’ve made my fair share of mistakes along the way. Obviously, determining budget is one of the most important parts of the new business process. It’s also often awkward and uncomfortable to talk about money. Unfortunately, some prospective clients don’t always have a realistic understanding of the value of the work agencies do, and experience sticker shock when they see a price in a proposal. I spent *a lot* of time on proposals in Q1 this year that went absolutely nowhere due to me not asking a few crucial questions upfront. I spent a whole day on a proposal I was super jazzed about, only to receive an email moments after sending it saying, “We are nowhere close to being able to spend that kind of money right now.” If I knew that ahead of writing the proposal, I could have saved myself a lot of time and heartache. So I’m implementing a prospective client pre-qualification questionnaire to properly vet fit before investing further time — I’ve learned through failure that a phone call simply isn’t enough all of the time. Th questionnaire will ask a number of questions, but most importantly will ask a prospective client for their budget (or a range they’re considering) so I can ask myself if it makes sense to continue pursuing this piece of business. Have you ever written a proposal? I’d love to hear about your process! Leave your thoughts in the comments below.